Yes, yes, Orson Scott Card is against gay marriage and Obama and he is quite possibly just batsh*t crazy. Now that I've acknowledged all that, can we focus on the movie and not his political views?!? 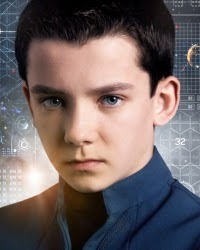 Ender's Game is a great f*cking book. And yes, the profanity is necessary because seriously, it's a great f*cking book. 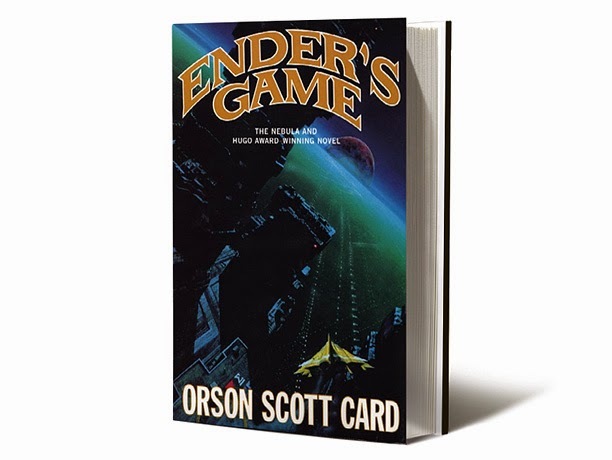 I'm sorry for all the people who can't bring themselves to read it because they can't separate the crap that comes out of Orson Scott Card's mouth and what he wrote on paper some 40+ years ago because they are missing out on a story that goes beyond sci-fi and into the realms of "timeless classic." With a story this strong, the movie had an excellent foundation upon which to build. And despite all the negative reviews I heard before watching it, I actually thought the screenwriter did a decent job of relaying the main points of the book. It's always an impossible task to adapt a widely beloved book into a movie without deeply disappointing rabid fans of the story, but even if one hadn't read the book, I think the plot was simple enough to follow without being predictable or boring. Of course, there were some major omissions (as there always are when adapting a long novel that took years and years to write into a two hour movie that is produced in a year or two). 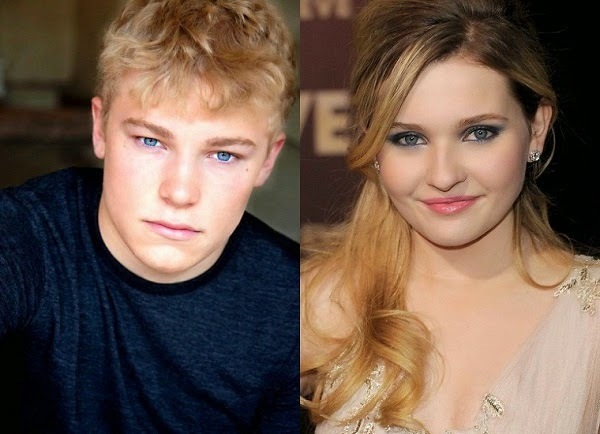 Ender's siblings, Peter and Valentine, are practically non-existent in the movie. (Though I'm not entirely sure I didn't see that as a minor positive, since Abigail Breslin [aka Little Miss Sunshine] was cast as Valentine. Ugh.) Also missing was the huge parallel of the political goings-on down on Earth while Ender is up in space, orchestrated by Peter and Valentine themselves. I think this is where the movie loses the book fans. I can't imagine it would have been that difficult to splice in a few shots here and there of the unrest going on down on Earth, but perhaps the director felt that would leave that storyline incomplete and decided to cut it all together. To include it with as much detail as they pour into Ender's training, the movie would have to be split into multiple parts (and I think we all know how I feel about that...). So that may make me a traitor of the book, but I'm not outraged by cutting out the Earth parallel. Speaking of cutting...while I can understand the need for the movie to condense the timeline of Ender's training, we miss the huge fact that Ender is in fact six years old when he starts this training program. 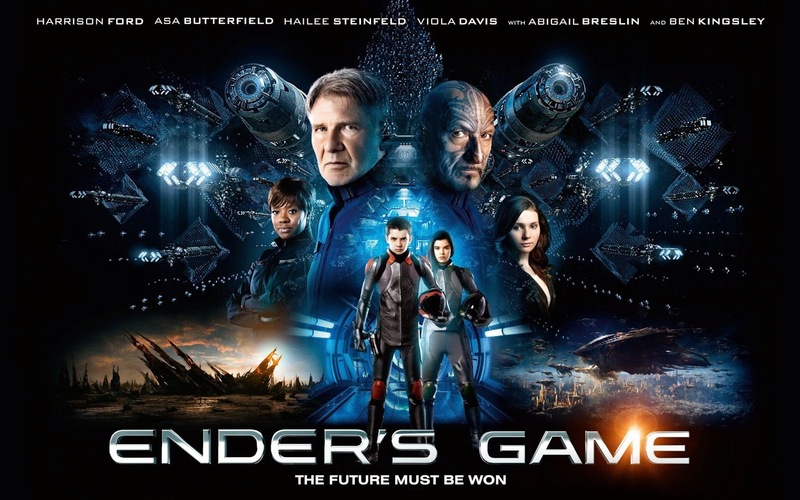 A six-year old being trained to fight and kill is vastly different than an eleven-year old or however old Ender is supposed to be in this movie. But I understand easily confused viewers have difficulty watching the same character played by different actors as he ages, so I can see how this decision was made. Again, streamlining the story for the simplicity of the masses. Ender's personality was also sanitized, probably to make him a bit more likable and appeal to a younger crowd. I think is where Peter's absence is felt, as the audience misses his huge influence on Ender's psyche. A couple of references to Ender's fear of being like his brother really isn't enough to show just how deeply rooted that fear is, nor why Ender acts the way he does. Also, his own penchant for violence was toned way down and with a third person view of the story (juxtaposed against the first person view of the book), the viewers miss a lot of the complex thoughts and emotions Ender has running through his head. Instead, they attempt to relay it through awkward, stiff dialogue and long stares. But hey, they got that PG-13 rating! Final word: This sanitized version of the story could have never lived up to the book, but it was a decent action movie in its own right. When it [inevitably] runs over and over again on TNT or Spike, I'd stop on the channel.